Lawyer, MLA (1884-1886), MLA (1886-1888). Born at Kildonan on 27 March 1854, fifth son of Robert McBeth, who came to the Red River Settlement with Lord Selkirk in 1815. He was educated at the Kildonan Common School, St. John’s College, and Manitoba College. He studied law with the firm of Ross, Killam and Haggart and was called to the Manitoba Bar in November 1882, subsequently practicing with McBeth, McBeth and Sutherland. In May 1883, he was appointed Clerk of the Executive Council but resigned the post in April 1884 to stand for election to the Manitoba Legislature following the death of A. M. Sutherland. He was re-elected in 1886. By “old settlers” is meant the original Selkirk settlers and their descendants. John McBeth’s family had become very successful in the context of the Red River Settlement. 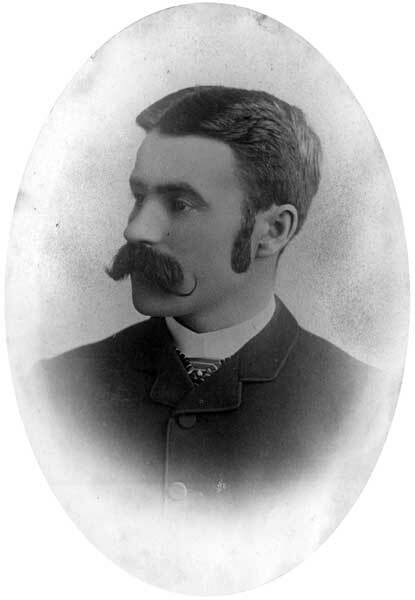 Born in 1854, John McBeth was one of ten children of the Honorable Robert McBeth and grandson of Alexander McBeth, the patriarch of the family that came to Red River with the third contingent of Selkirk Settlers in 1815. One of his younger brothers was the Reverend Roderick G. McBeth, a prolific writer of western Canadian history and biography and one of his sisters married the famous John McKay, the Metis trader and buffalo hunter. Another brother was Robert McBeth Jr. John’s father, Robert McBeth was a prosperous farmer and general merchant in Kildonan, who transported goods for the Hudson’s Bay Company between York Factory and Fort Garry. He was also a magistrate and Justice of the Peace, and sat on the Council of Assiniboia. He was famous for having hidden John Schultz in his house after Schultz escaped from captivity in Upper Fort Garry in 1870. On 2 February 1889, he married to Charlotte Smith of Port Hope, Ontario . They had no children. He died at Denver, Colorado on 27 September 1897 [2, 4], perhaps from tuberculosis . He was buried at Port Hope. A Political Manual of the Province of Manitoba and the North-West Territories by J. P. Robertson, Winnipeg: Call Printing Company, 1887. J. A. Gemmill (editor), The Canadian Parliamentary Companion, 1887. Canadiana.org. 1. “Seven Oaks,” Transactions of the Historical and Scientific Society of Manitoba, No. 43, 1891-92, p. 25. 2. Manitoba Historical Society, Annual Report for the Year 1897, page 6, Winnipeg: 1898. 4. “J. M’Beth dead,” Manitoba Free Press, 28 September 1897, page 2. 5. Marriage registration, Manitoba Vital Statistics, number 1889-001958.